The William A. Rosenthall Judaica Collection includes multiple issues of several long-running, widely-circulated German language serials, such as the Allgemeine Zeitung des Judenthums, Ost und West, and Simplicissimus. 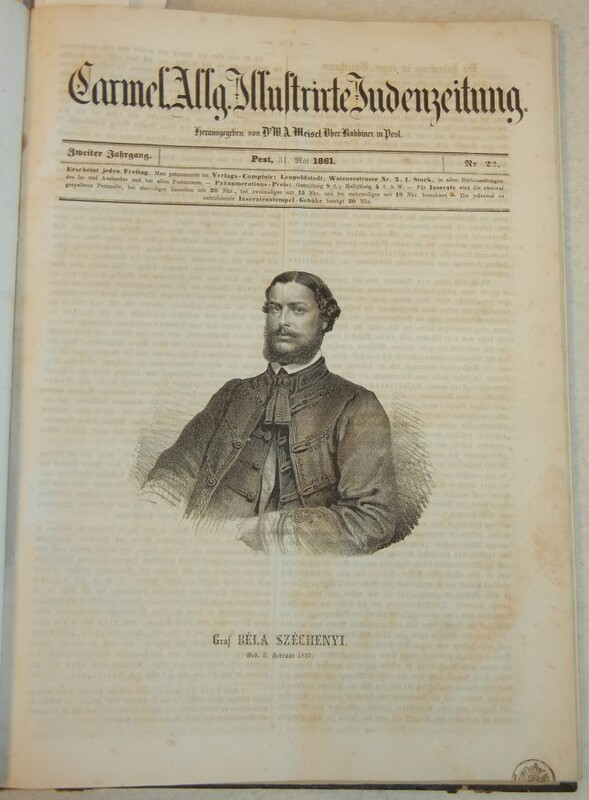 In addition to these titles, the collection contains a full run of the illustrated weekly Allgemeine Illustrirte Judenzeitung. 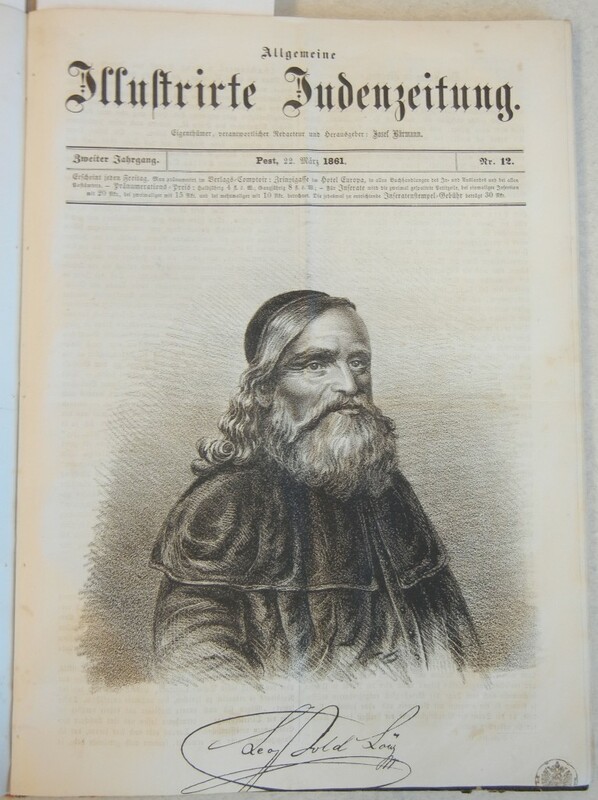 The Allgemeine Illustrirte Judenzeitung was published in Pest from August 3, 1860, to June 28, 1861. 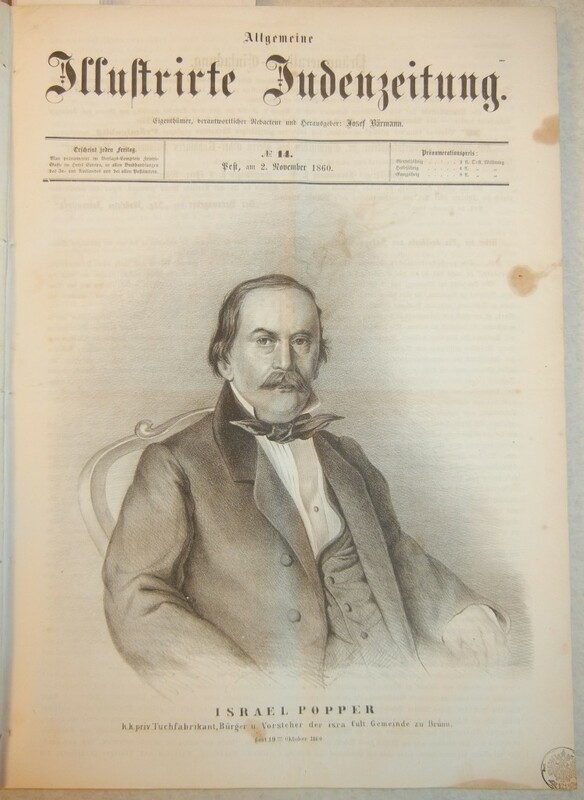 Josef Bärmann edited and published the paper from its inception until April 5, 1861. 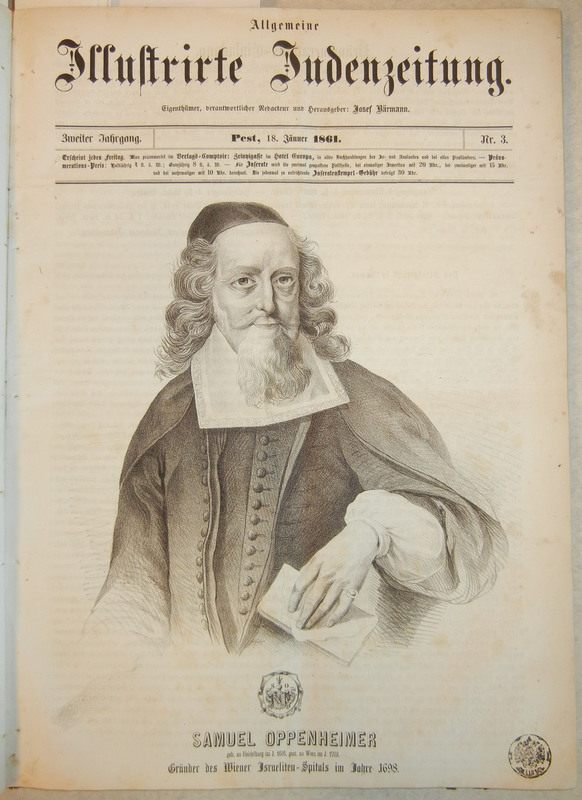 On this date, the paper merged with the publication Der Carmel: religiöse Wochenschrift für Synagoge, Schule und Haus published by Wolf Alois Meisel, Chief Rabbi of Pest, to form a new publication entitled Carmel, Allgemeine Illustrirte Judenzeitung. 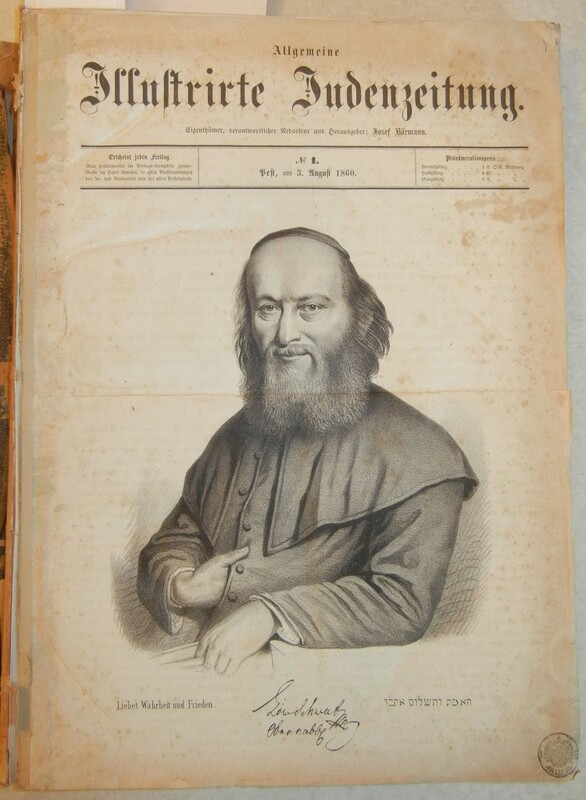 First issue of the Allgemeine Illustrirte Judenzeitung, published August 3, 1860, featuring Rabbi Löw Schwab. 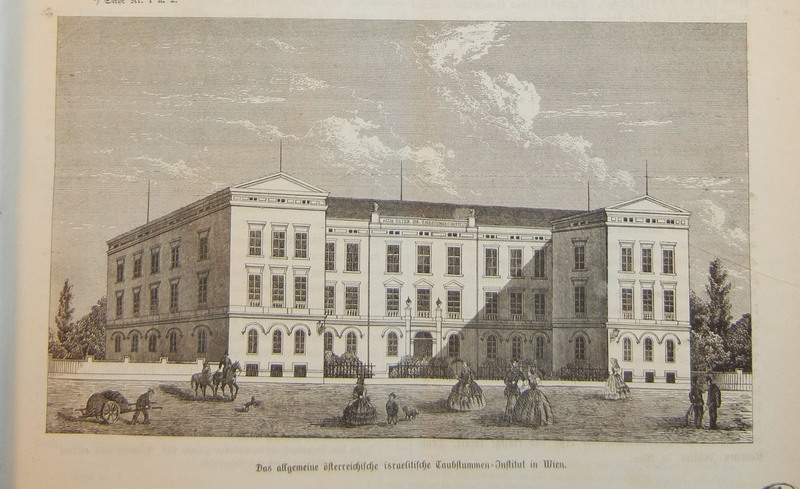 In June 1860, before the first issue was published, the editorial staff issued a statement describing their vision for the newly created Allgemeine Illustrirte Judenzeitung. 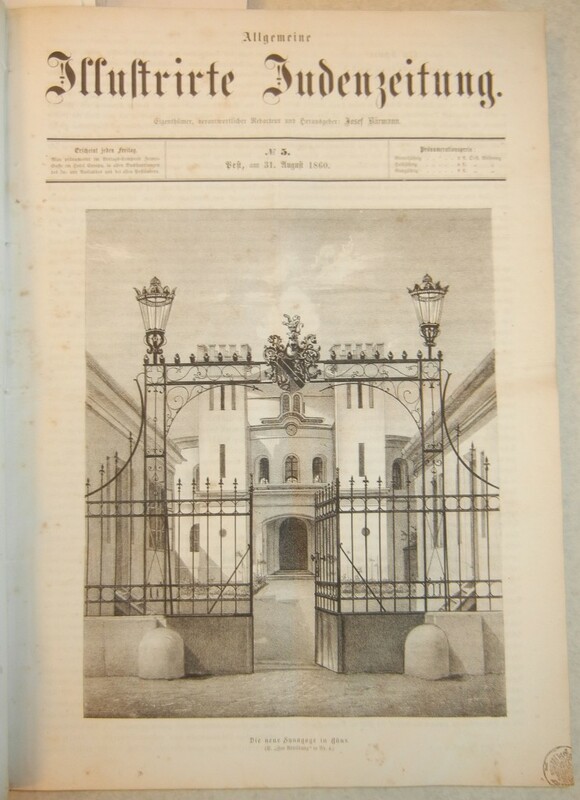 They described a publication that would include interesting news from near and afar, literary sketches, and instructive articles from the realms of art and science. 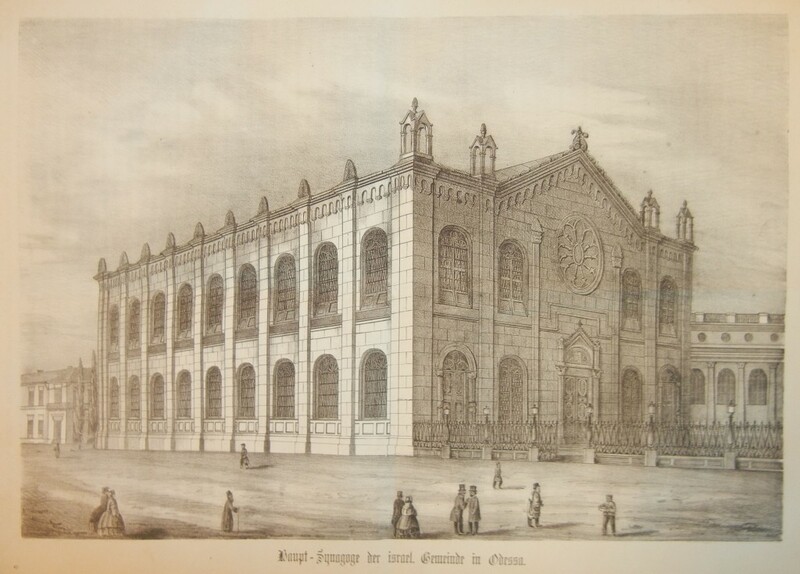 The editors aimed to fill the columns of the pages with scientific articles and historical sketches connected to Jewish life and history. 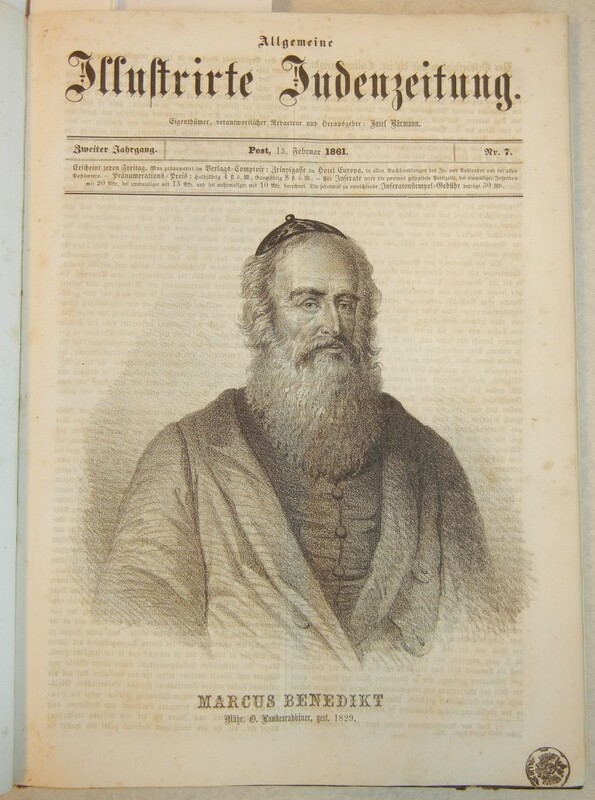 To this end, they requested interesting reports from and about Jewish communities and biographies about meritorious Jews. They want to make known the achievements of Jewish artists, authors, and other specialists. 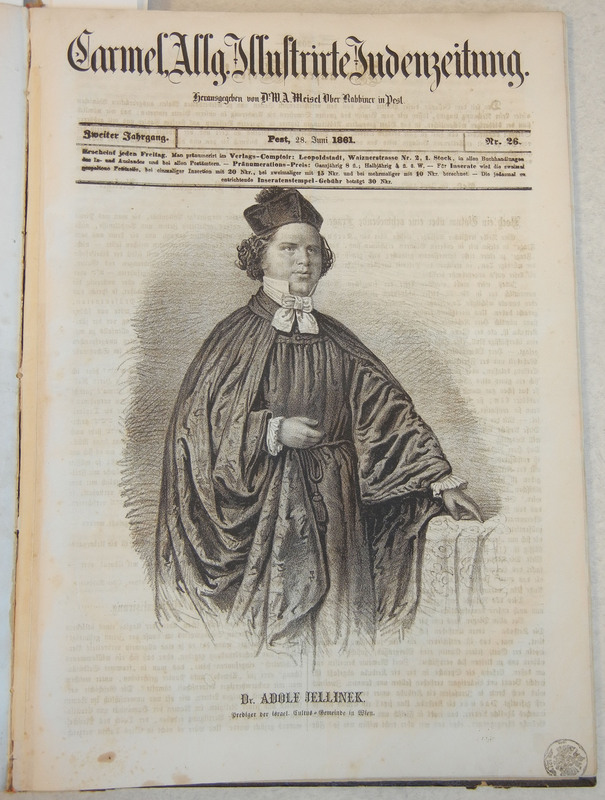 The editors were also very clear about who the audience for this new publication would be. They stressed that the publication was dedicated not to subject specialists, but to all who might find it amusing and instructive. First and foremost, they would publish a paper dedicated to Jewish readers. 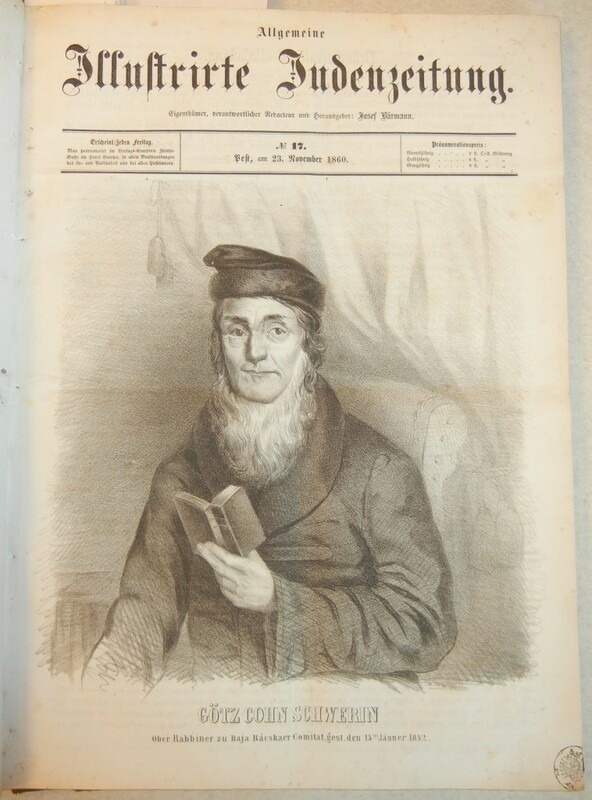 Last issue of the Allgemeine Illustrirte Judenzeitung, published June 28, 1861, featuring Rabbi Adolf Jellinek. 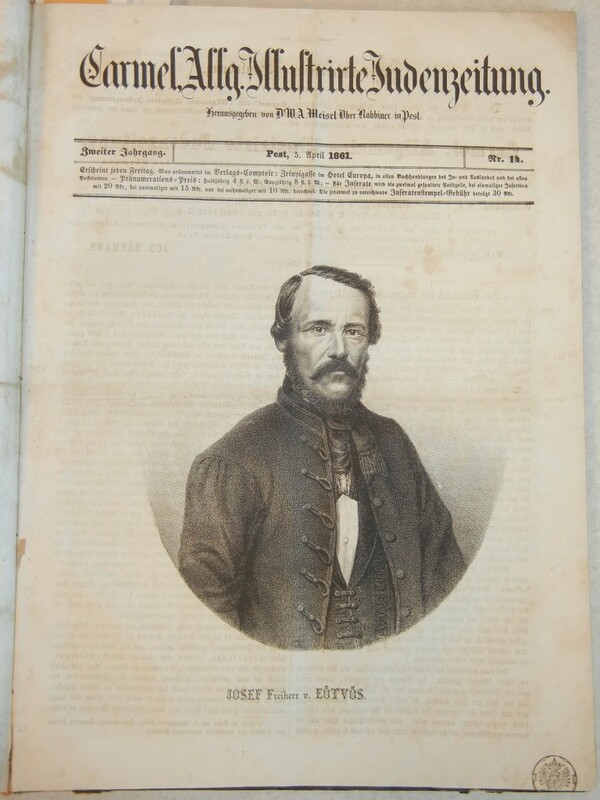 True to their stated mission, the editors of the Allgemeine Illustrirte Judenzeitung published a weekly containing dispatches from Jewish communities around the Austrian Empire, as well as more in-depth articles about Jewish communities further afield, in places such as Poland, Spain, Damascus, and Baghdad. 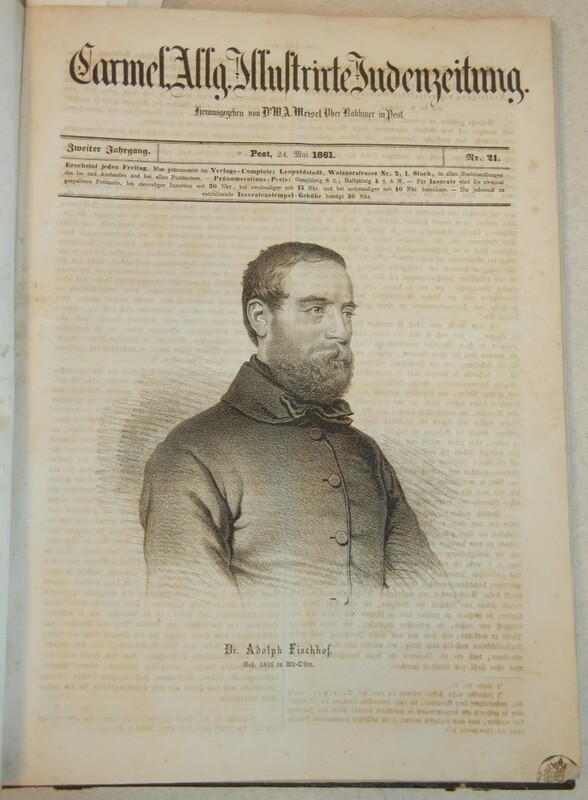 The paper also published poems, novelettes, and literary reviews. 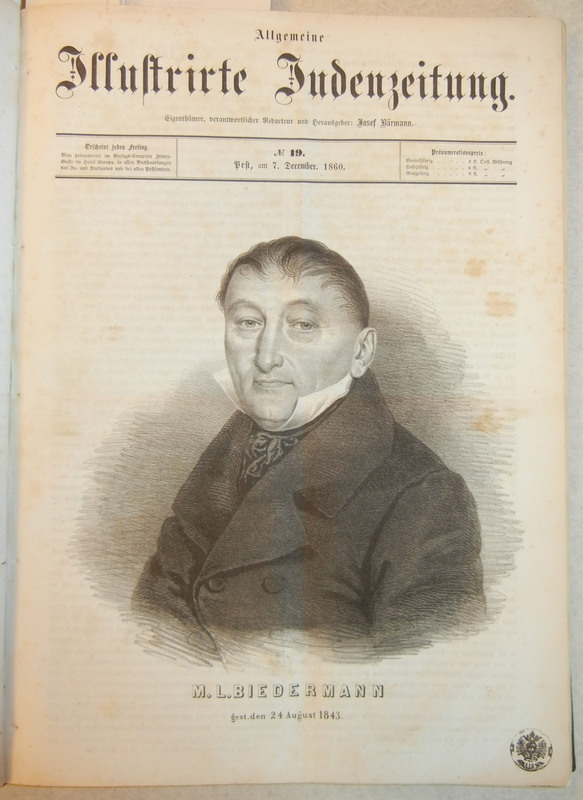 In addition, the cover of each issue featured an illustration of either a prominent Jewish individual or important Jewish institution in the Austrian Empire, along with corresponding biographies of the individuals and histories of the institutions featured. 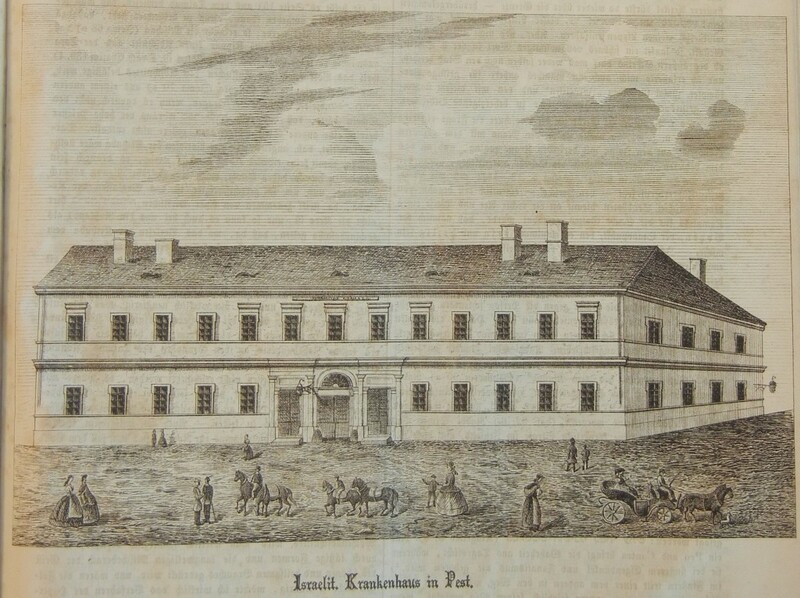 Such individuals included Rabbi Löw Schwab, Rabbi Moses Schreiber (Moses Sofer), Isaak Noah Mannheimer, Israel Popper, Rabbi Götz Schwerin, Michael Lazar Biedermann, Samuel Oppenheimer, Rabbi Mordecai Banet (Markus Benedikt), Joel Deutsch, Rabbi Leopold Löw, József Eötvös, Adolf Fischhof, Béla Széchenyi, and Rabbi Adolf Jellinek. 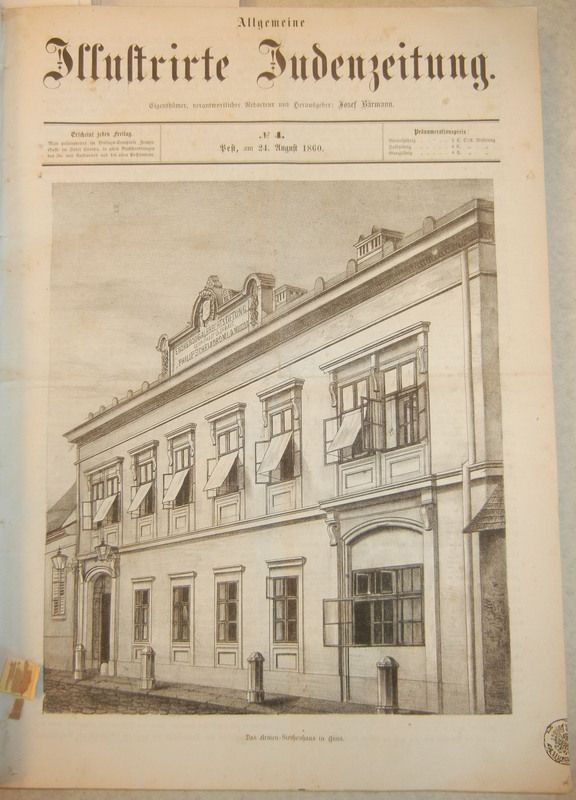 Featured buildings include Das Allgemeine Österreichische Israelitische Taubstummen-Institut in Wien, the Albrechtinum and synagogue funded by Philipp Schey von Koromla in Güns (Kőszeg), Die Israelitische Kinderbewahranstalt in Wien, the Main Synagogue of Odessa, Old New Synagogue in Prague, and the Israelitisches Krankenhaus in Pest. 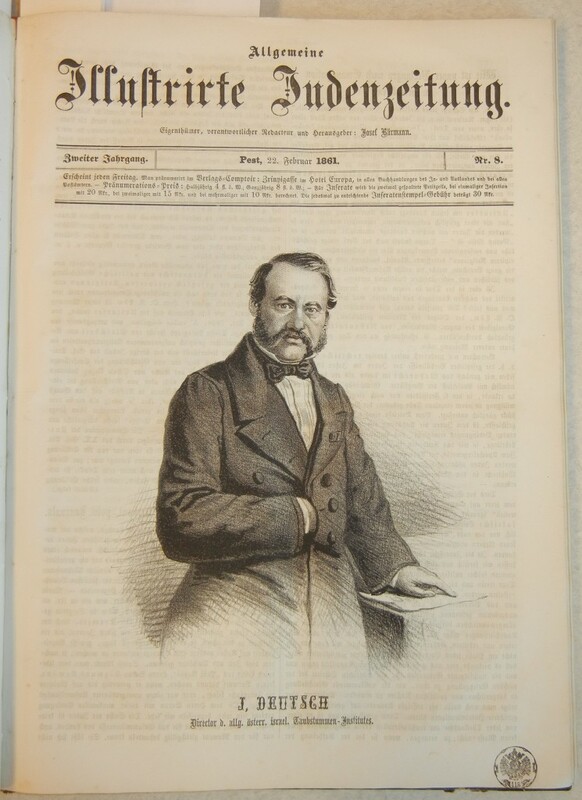 Though the Allgemeine Zeitung des Judenthums ceased publication of full issues on June 28, 1861, publication of plates (portrait etchings) continued into 1862.